On Thursday, the 27th of September, the House Subcommittee on Crime, Terrorism, Homeland Security and Investigations will hold a hearing on Capitol Hill in which testimonies will be heard from witnesses who hold a wide variety of views on sports betting. This is the first federal hearing on the issue since the U.S. Supreme Court cleared the way for individual states to determine their own stance on sports betting following its May ruling. – John Warren Kindt, professor at the University of Illinois. 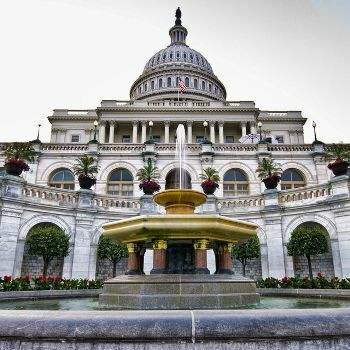 The hearing was scheduled after a number of members of Congress recently called for a federal framework to be imposed on sports betting. One of them is Senate Minority Leader Chuck Schumer (D-N.Y.) whose suggestions last month includes all sportsbooks using only official league data to determine betting outcomes, and sports leagues being involved in deciding what wagers should be accepted. As stated, University of Illinois Professor John Kindt and Jon Bruning from the Coalition to Stop Internet Gambling will be the key witnesses speaking out against sports gambling. On the plus side for sports gamblers, Kindt has gained a reputation for demonizing all things gambling and mischaracterizing academic research, and so his testimony will likely be viewed in such a light. The ‘Coalition to Stop Online Gambling’ is bankrolled by billionaire casino mogul Sheldon Adelson who has made it his mission to oppose all forms of online gambling. The group will subsequently be represented at the federal hearing by Jon Bruning, a Republican and former Nebraska Attorney General. As a lobbyist, Bruning will attempt to steer the sports wagering hearing towards online gambling legislation in general whenever possible, and try to promote his master’s vision of an online gambling ban across the country. Not long ago, however, the same subcommittee he will be standing in front of rejected similar arguments in favor of introducing the Restoration of America’s Wire Act, and Bruning is likely to face the same hurdle going forward. Moreover, critics of the CSIG view the lobby group with deep suspicion and have asserted that its backer Sheldon Adelson’s chief concern is to protect his casino empire from business rivals who have already embraced the industry, including the likes of Caesars Entertainment Corp, and MGM Resorts International.